Now that it's out, I realize it would have been nice to have had this blog up and running to accompany it. Still, better late than never. 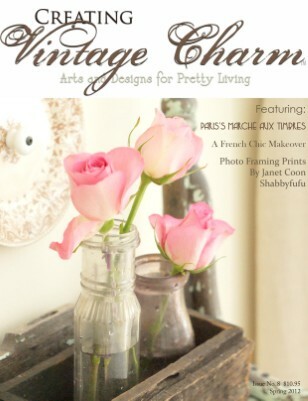 My article Paris's Marché aux Timbres is in the Spring 2012 issue of Creating Vintage Charm. It's a lovely magazine, chock full of vintage goodie inspiration. Order yourself a copy today!